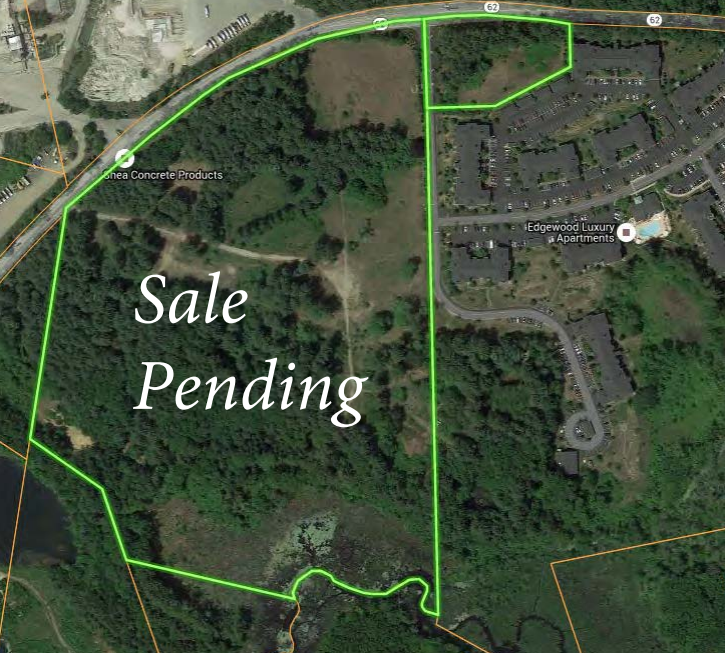 A 2.49 acre site located on the southerly side of Lowell Road (Route 62) on the North Reading \ Wilmington town line just one mile west of the interchange of I-93. The property is zoned Industrial-Commercial which allows for light industrial, recreation, professional offices, shopping centers, restaurants, banks and other general commercial uses. There is a proposed 450 unit “Over 55” for sale housing development on the site adjacent to the property. The site is being offered through a Request For Proposals issued in February, 2017. A 36.7 acre site located on the southerly side of Lowell Road (Route 62) on the North Reading \ Wilmington town line just one mile west of the interchange of I-93. The property is zoned Industrial- Commercial which allows for light industrial, recreational, professional offices, shopping centers, restaurants, banks and other general commercial uses. The Town of North Reading is an outlying suburban town in the greater Boston area with a current population of 15,200. The town has a median household income of $110,852, which is significantly higher than the surrounding area. 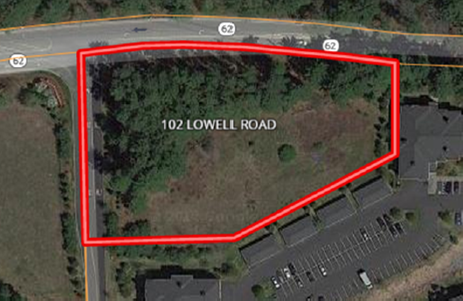 6.53 acres located just 300’ from the MBTA Norfolk Commuter Rail Station. Zoned B-1, the property abuts the MBTA right of way. Water, electricity and gas available to the site. It is just a 40 minute commute to Boston. The commercial space is permitted for either retail or restaurant use. Site plan may be modified to remove the commercial space and add an additional four housing units. The iconic Wonderland Ballroom property located at 1290 North Shore Rd. 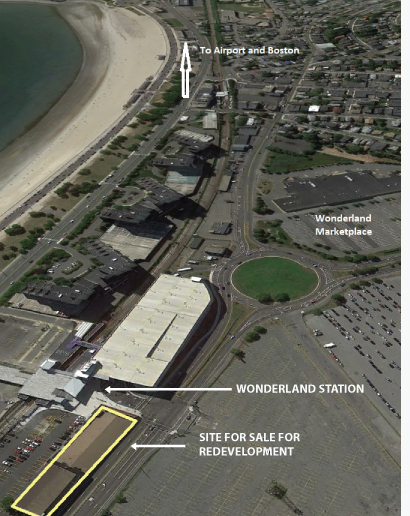 in Revere, MA is available for redevelopment. The site consists of approximately 28,056 s.f. of land and is improved with the Wonderland Ballroom night club comprised of over 30,000 s.f. of building. The site has in excess of 300 feet of frontage on North Shore Rd. and is literally 20 steps away from the MBTA Wonderland Blue Line Rapid Transit Station and Bus Multi-Modal Facility providing excellent connectivity to Boston and surrounding communities. 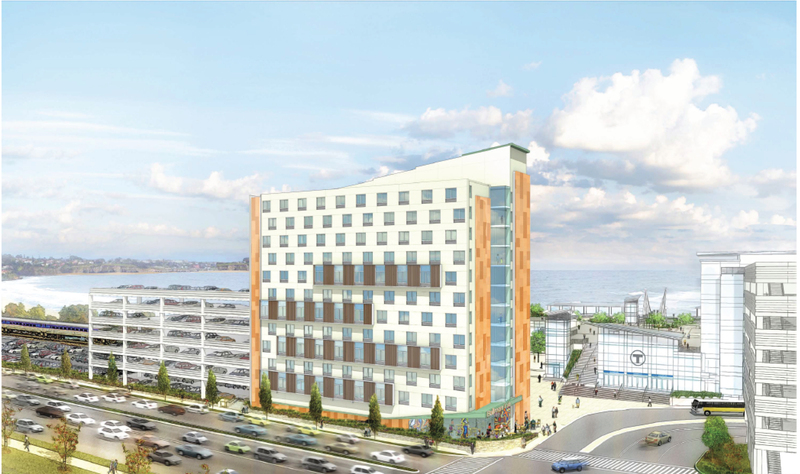 Reuse of the site could provide for a variety of uses ranging from multi-family residential, general and professional office, hotel, restaurant and retail uses. The potential for residential redevelopment of the site is exceptional as the location exemplifies a bona fide Transit Oriented Development site within the Wonderland Transit Oriented Development Overlay District situated virtually on top of the Wonderland Blue Line Station. For more information email R.J. Long. This site consists of two properties that comprise the remainder of a downtown City block already undergoing significant renovation of existing commercial buildings and major infrastructure improvements - including signal and pedestrian crossing upgrades - at the intersection of Centre Street/Route 60 and Main Street. Within walking distance to the Malden Center MBTA rapid transit and commuter rail station which also serves as a regional bus hub, the site is also adjacent to the public multimodal ecreational trail that traverses the City - the Northern Strand Community Trail/Bike to the Sea Path.